Pete Sveen is an avid outdoorsman, entrepreneur, and DIY'er living in Bozeman, Montana. He got into building projects at an early age and has continued making things ever since. 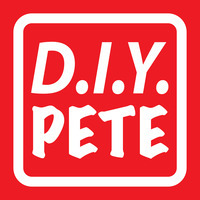 Pete's mission is to help and inspire as many DIY'ers out there as possible. Awesome bro! I just saw your floating shelf blog the other day too. Bout to build one tomorrow. Where are the plans located? You have to sign in to get them. Hello, I am very much a beginner - could someone give more detailed instructions on building the stands? Thank you. Awesome project. What are the measurements for the stands? plans with measurements still not available? Hi Dogtrainer579! The plans are now available toward the top of the page. Click on " View Project PDF " - Cheers! I'd love a cut list as well! Hi Valliloves! The plans are now available toward the top of the page. Click on " View Project PDF " - Cheers! Complete plans will be available by this Thursday. I'll post as soon as they are up! i will be building one of these for my pittbull puppy come early spring. Super cool Pete! Those lights make it over the top awesome. Hi Suziq! I don't currently have a tutorial on dog steps but if I'm able to get to it at some point I will let you know. Thanks! Toward the top of the page you will find a "View Project PDF" link. That will have all the details for ya. Cheers! They are now available (all plans etc) in a PDF toward the top of this page. They can be printed off for your convenience. Cheers! Awesome! Thank you so much, Pete! This is SO cool - I've never seen anything like it before! Is there measurements of what sizes were cut for the back wall. Are there specific plans for this project?